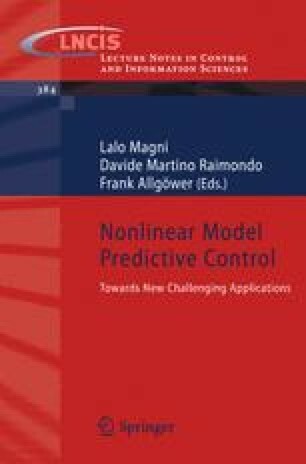 A new idea to construct stabilizing model predictive control is studied for a constrained system based on the adaptation of an existing stabilizing controller with a Control Lyapunov Function. We focus on systems which are difficult to stabilize via classical model predictive control because the initial state can be so large that the origin is not reachable in a limited time horizon. We handle this by using a varying terminal state equality constraint, which eventually converges to the neighborhood of the origin. Open-loop, pre-computed terminal state trajectories and closed-loop variants are developed and compared to Artstein’s controllers. In the closed-loop case, it is shown that the model predictive approach leads to improved degree of stability over the original stabilizing control law.